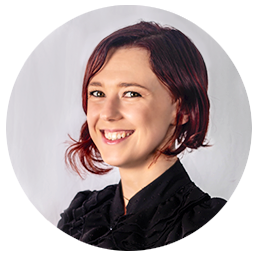 Guest feedback can be helpful for hoteliers in a number of ways. For example, it can inform your operational decisions, inspire your marketing materials, and help you to improve your staff training procedures. Perhaps most importantly, in today’s world, when used as a form of social proof, feedback from past guests is crucial in encouraging new guests to visit your hotel. Human beings tend to look to their peers for guidance when deciding upon their actions. Consider how, when someone begins clapping, everyone else starts clapping with them, or when one person stands behind another at a counter, others begin to form a queue behind them. 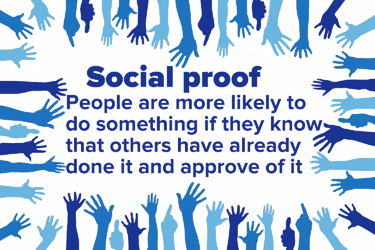 “Social proof” is the name given to this phenomenon – people believe something is the right thing to do or they approve of it simply because others are doing it or approve of it. Scholars have done numerous studies on social proof (also called informational social influence), and one of the most notable studies happens to have been done in a hotel. 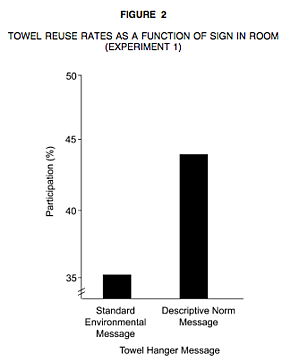 In 2008, Goldstein, Cialdini, and Griskevicius performed an experiment on towel reuse in hotel rooms. Using different ways of phrasing the question, the researchers left notes in guests’ rooms asking the guests if they would like to reuse their towels. One of the notes told guests that they would be helping the environment by reusing their towels (using less water, energy, washing powder etc. ), one simply told guests what to do with their towels if they wanted to reuse them, and other notes told guests that other people had reused their towels and asked guests if they would like to do the same. Which message variation resulted in the most towel re-use? The one that told guests that other people had reused their towels. In another study, people were told that by using fans instead of air conditioning they would save money, or that their neighbours were using fans instead of air conditioning or that they would help the environment. Despite what people might claim about being independent thinkers and wanting to save the environment, or how thrifty they think they are, the people who switched to using fans the most were those who were told their neighbours were using fans. Other studies have found that people are more likely to laugh when they hear others laughing, and television producers take advantage of the impact of social proof by including laugh tracks in their sit-coms. Another study observed an increase of sales of certain dishes in restaurants when they are labelled “our most popular items”. Paid, owned and earned media are the three forms of media exposure available to your hotel. Each has inherent pros and cons, and guests do not trust them all equally. Paid media is any exposure that you have directly paid for. Billboards, adverts in magazines, TV adverts, sponsored social media posts, pay-per-click online advertising and so forth. Owned media is publicity that you have not directly paid for, but which you control, such as your social media accounts, your hotel’s own website, and your online travel agent listings. Earned media is media that you neither pay for nor have control over, such as the reviews that people write on your online travel agent listings, independent articles about your establishment in magazines or online, and comments on your own content. Consumers naturally trust earned media more than paid or owned media, and this is where social proof becomes truly valuable. 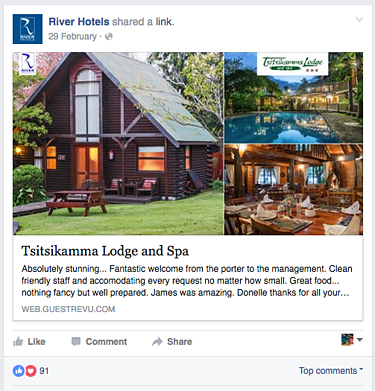 Sharing your guest’s reviews as social proof allows you to bridge the gap between earned media and paid and owned media. Essentially, guest feedback is earned media that you can promote on your owned or paid media platforms. Social proof is persuasive, but for the positive comments of your previous guests to have any impact at all, people first have to read them. People are drawn more to images than text. On average, tweets with images get 35% more retweets and Facebook posts with images get 39% more engagement than their text-only counterparts. Additionally, research has found that people believe statements more when they are accompanied by an image, even when that image has little to do with the actual statement. When you share your guest comments and reviews, include a picture of your establishment, or, if possible, a picture of the guest who gave you the positive comment at your establishment, along with a text version of the comment. You can also try turning your positive guest comments into graphics by superimposing them over a beautiful image of your establishment. The free online tool Canva is a fantastic resource for non-designers who would like to make a pretty little graphic. Whose parenting advice do you trust more – your childless friend, or the colleague with three children? Even though your relationship with your friend is stronger, you are probably more likely to trust the person who has been there and done that and raised children. In the towel reuse study, the highest compliance was achieved when the social group described as having reused the towels before was similar to the guest him- or herself. Specifically, the highest towel reuse happened when the social group was described as being in a similar situation – that is, when the note stated that “guests who stayed in this room” had reused their towels rather than just “other hotel guests”. Make the most of this tendency by including a detail or two about the person whose feedback you are quoting. You may have noticed that TripAdvisor asks people to say what kind of trip they were on; business travel, couples holiday, family holiday etc. and what nationality they are. If you can include a few details like this, your social proof may resonate more strongly with other people also planning a similar trip. 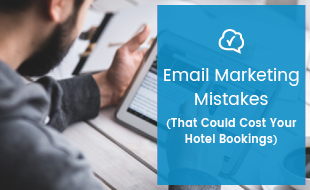 Once you have used your reviews to prove to a traveller that your hotel is the best option for them, you want to make it as easy as possible for them to act on their newfound confidence in your establishment. If you are sharing your reviews somewhere other than on your own site, such as your social media platforms, make sure you include links back to your site, your phone number or email address. 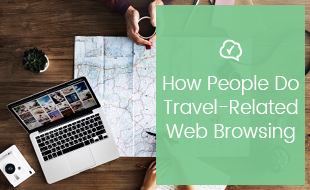 Make sure that you're reaching your potential guests when and where it matters by understanding how people do travel-related web browsing. Click on the banner below to download our handy, free infographic booklet.